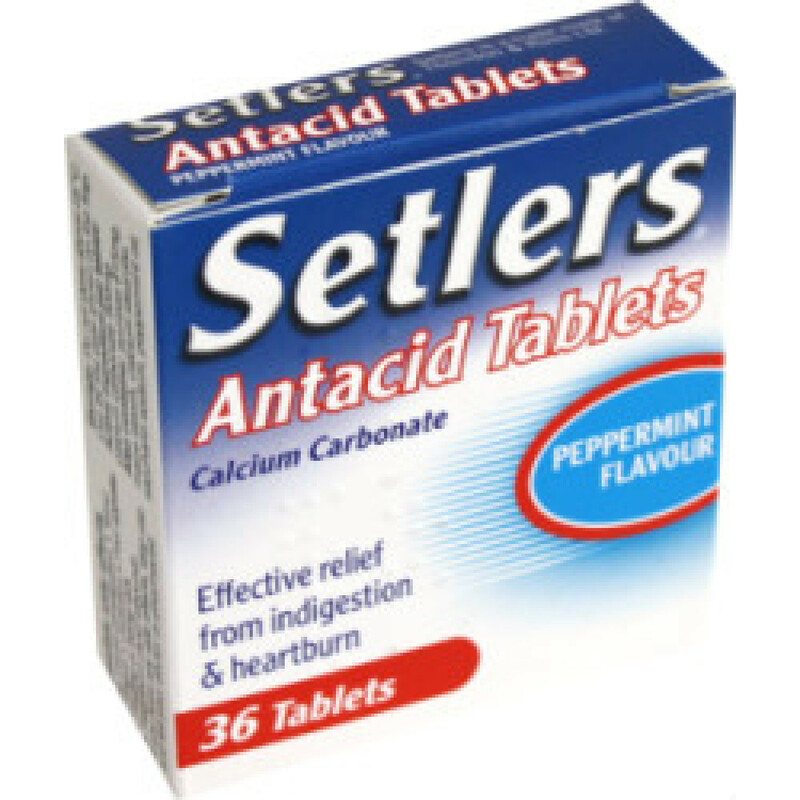 Setlers Antacid Peppermint Flavour Tablet contains calcium carbonate that neutralizes excess acid in your stomach. It provides prompt and long-lasting relief in indigestion, nausea, flatulence and heartburn. Not to be given to children below the age of twelve. Do not overdose. Talk to your doctor if you feel unwell after taking this medicine or if symptoms persist or if you have overdosed accidentally. Read all labels and instructions carefully before use and do not use if you are allergic to any of the ingredients. Not recommended for people suffering from hepatic ailments, thyroid disorders, kidney stones, diabetes or if you are pregnant or lactating. Keep away from children and do not take beyond the expiry date mentioned on the label. The tablets can be taken by adults, children above twelve years of age and the elderly. The standard dose is one or two tablets taken as necessary or as advised by your physician. Do not take more than sixteen tablets in a day. 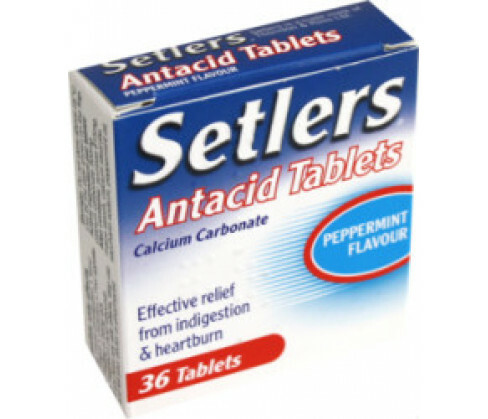 Each Setlers Antacid Peppermint Flavour Tablet contains 500mg Calcium carbonate as the active ingredient. Excipients in the formulation include Glucose, Sucrose, Maltodextrin, Maize Starch, Magnesium Stearate, Talc, Adipic acid and Peppermint Flavour.